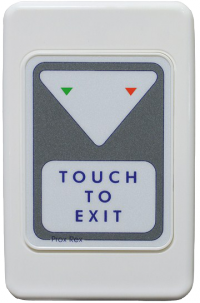 Prox-Rex® only requires the touch of a finger to activate, making it perfect for fast and easy egress and an advantage for the elderly and disabled. 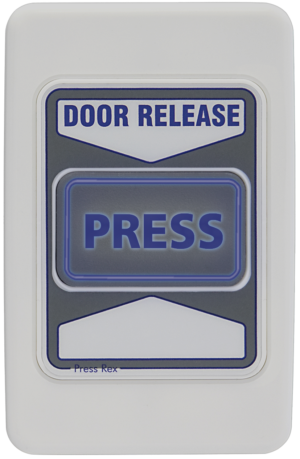 The Press Rex® (Press to Exit) has an illuminated silicone push button of a size that can be easily pressed and seen in areas of limited lighting. 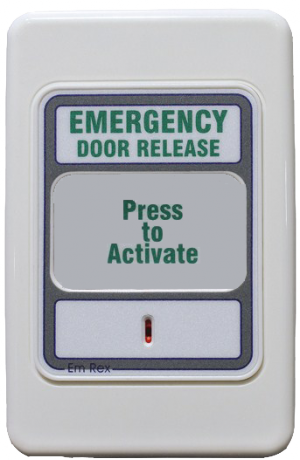 It also operates from 10 - 30Vdc. 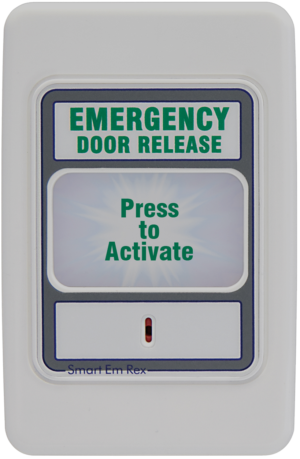 The Em-Rex® (Emergency Exit Device) is an emergency door release unit which can be used on its own or in conjunction with the Prox Rex® unit to make up a total access controlled exit solution.